Here’s part 2 of the chat with Anthony Parasole. In this episode, they go deep into DJ theory. They also discuss how to “make it or break it” on the DJ circuit and how realistic it really is. The boys also discuss technical issues on stage, aka “when keeping it real goes wrong”, tribal music, great live acts, favorite DJs, and why they’re still raving. 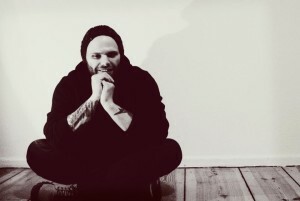 Anthony Parasole is associated with his NY crew of friends comprised of producers/DJs such as Levon Vincent, DJ Qu, Jus Ed, Fred P, and Joey Anderson. For example, in 2008 he launched Deconstruct Records with Levon Vincent. Some of his more recent fans my know him from his new label “The Corner” or his releases on Ostgut Ton. As a DJ, he holds residencies at Brooklyn’s Output Club and Berlin’s Berghain. That’s kind of a big deal, eh?